Vladimir Korolyov, commander in chief of the Russian navy, shed some light on the country’s new underwater drone, calling the new machine practically invincible. The new unmanned sea vehicle, equipped with a new nuclear engine, is virtually impossible to intercept, Korolyov told a recent press conference. He said that the new apparatus will have an effectively unlimited travel range and will feature a low noise profile and high maneuverability. This all will allow the new weapon to stealthily approach targets. "The new targeting system being developed specifically for this weapon will allow for the underwater devices to autonomously approach targets and destroy them with high precision," he said. The weapon "will allow the navy to complete a wide spectrum of tasks in remote maritime zones and in water areas in the vicinity of enemy territory." The drone will be introduced into the navy once all testing is complete, the navy chief said. Testing is underway and "there are no doubts that [Russian] engineers, scientists and military-industrial workers will successfully complete the task." "I'd like to underscore that all elements of the system are manufactured using only Russian parts," Korolyov also noted. 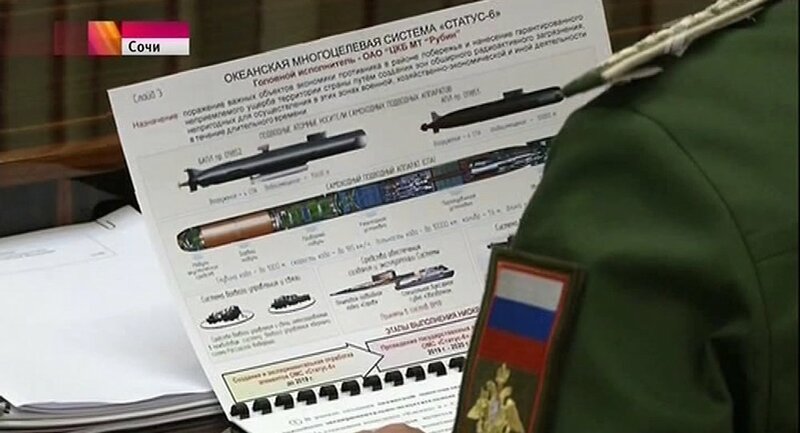 On March 1, Russian President Vladimir Putin gave his annual state-of-the-nation address to the bicameral Parliament, the Federal Assembly, in which he presented a set of new Russian weapons, including hypersonic missiles, extremely long-range intercontinental ballistic missiles, weaponized lasers and an underwater drone.